School districts with a fleet of school buses, as well as many other businesses that own and operate buses, trucks and diesel vehicles, can take advantage of solutions that are now available to stay in compliance. 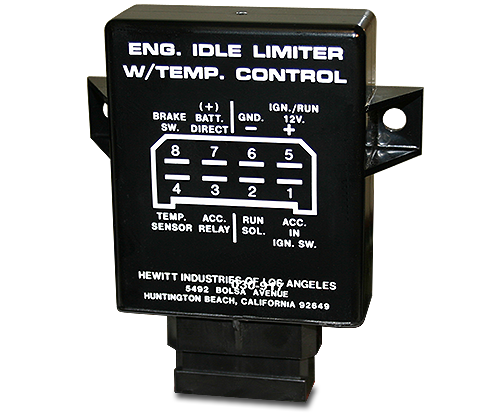 In response to the new anti-idling regulations, Hewitt Industries developed the economical Engine Idle Limiter Module. The 12 or 24 volt module is designed to shutdown the engine and any connected accessories five (5) minutes after the vehicle is stopped and the vehicle or trailer brakes have been applied. Click here to learn more about this simple solution to meeting anti-idling regulations. Below, we've compiled several documents that may be helpful as you research the laws and regulations that may affect your diesel vehicles and your business. 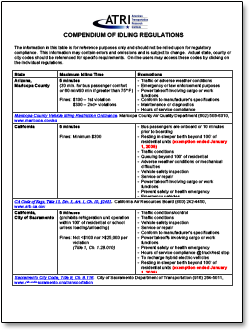 Compilation of State, County and Local Anti-Idling Regulations (EPA). This compilation of state and local vehicle idling laws represents the U.S. Environmental Protection Agency’s best efforts to catalog, in one location, the variety of existing and proposed idling laws in their entirety. Download this document for reference purposes only. Please refer to your state, county and local jurisdictions for current laws and regulations to meet compliance. 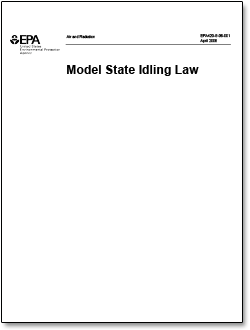 Model State Idling Law (EPA). Because of inconsistencies in the pattern and design of state and local vehicle idle restriction laws, compliance became an issue for both drivers and owners. Fifteen states and dozens of local jurisdictions have idling laws, so the Environmental Protection Agency (EPA) stepped in to host a series of five public workshops. The goal of these workshops was (1) to develop a "model state" idling law for states to consider adopting that would foster greater compliance through common understanding of requirements, and (2) to raise awareness among the trucking industry, states, and environmental groups about each other's needs. 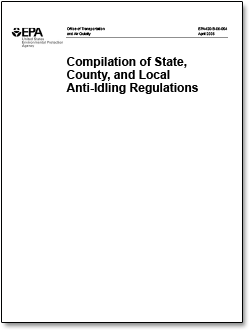 Compendium of Idling Regulations (ATRI). This compendium was updated in July 2008 and contains reference information for regulatory compliance in states, counties and municipalities. 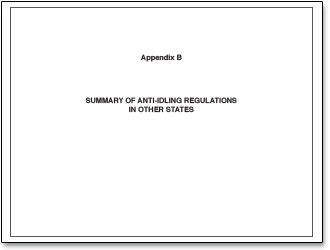 Summary of Anti-Idling Regulations In Other States. This summary was updated in October 2002, so it is somewhat dated. The document contains reference information for regulatory compliance in states, counties and municipalities. Click here to purchase the Hewitt Engine Idle Limiter Module in the MurCal web store.